The Chairman of the Conference of Speakers of State Legislatures of Nigeria, Rt. Hon. Mudashiru Ajayi Obasa has commended the acting President, Professor Yemi Osinbajo, SAN, for his timely action on the invasion of the National Assembly by the men of the Department of State Security (DSS) on Tuesday. Men of the DSS invaded the National Assembly and prevented staff and lawmakers from going into the complex early Tuesday morning. But Professor Osinbajo in a swift reaction ordered the sack of the DSS Director General, Lawal Daura for what the Presidency described as unathorised action. Rt. Hon. Obasa who is also the Speaker of the Lagos State House of Assembly described Professor Osinbajo’s action as very timely which has not only succeeded in cooling the already heated polity but has also brought credibility to the Federal Government both at home and abroad. “The acting President has acted timely and this has confirmed that the Presidency has no hand in the invasion of the National Assembly. This has brought credibility to the government and show its sincere commitment to rule of law and justice,” the Chairman of Conference Speakers said. Rt. Hon. 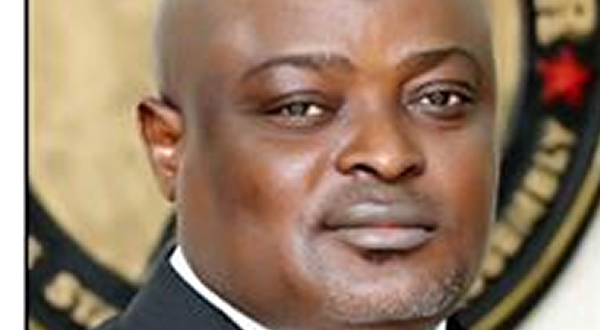 Obasa condemned the invasion describing it as a desecration on the sanctity of the Parliament. “The action of the DSS is condemnable because it’s a desceration on the sanctity of the Parliament. But the acting President has restored the pride of the Parliament through his timely action,” he said. The Chairman of the Speakers Conference further reiterated that he and his colleagues had warned in the communique issued at the end of their meeting in Lagos which ended in Lagos at the weekend that the Nigeria Police and in essence other security agencies should be more professional and apolitical in the discharge of their constitutional responsibilities by desisting from invading and occupying legislative houses in the country. “This invasion, coming barely 48 hours after our meeting, is sacrligeous and inimical to the growth of democratic values and ideals because the Parliament is the anchor on which Democracy stands. Any attempt to desecrate it, will have negative lasting impact on Democracy,” he said.